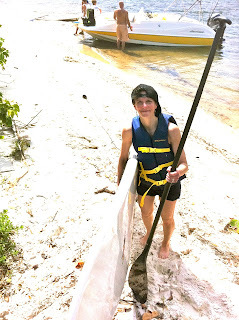 Well, we were going to paddle to Peanut Island but the wind was just too much! 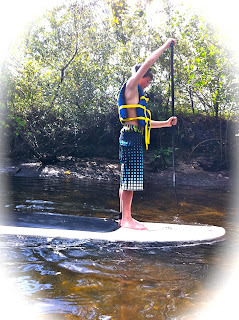 Not to disappoint ... Paddleboard Excursions switched gears to the protected back bays. 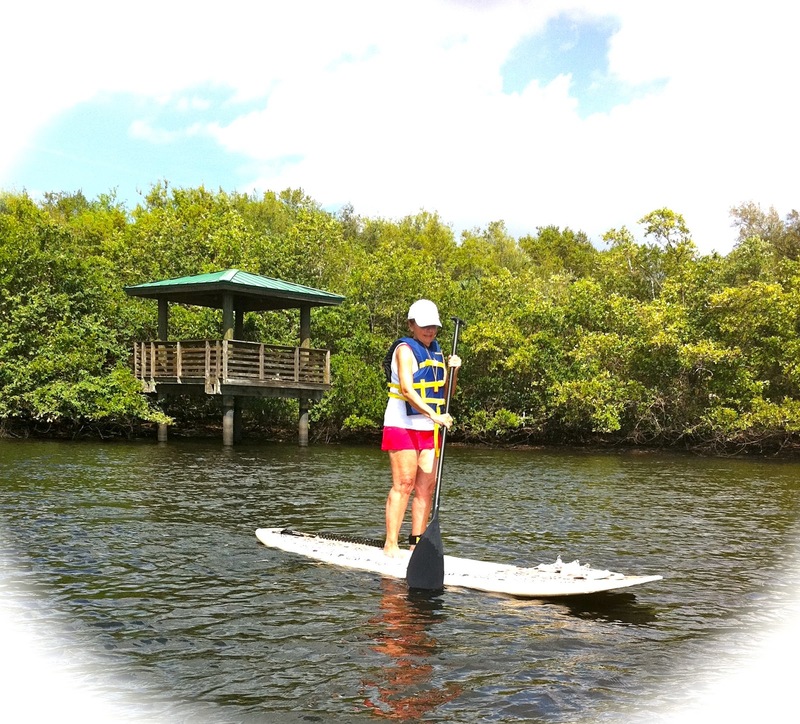 Paddleboard Excursions is not limited to one location and can change locations with the change of weather conditions....This is a great advantage... otherwise the day you had planned might not happen. 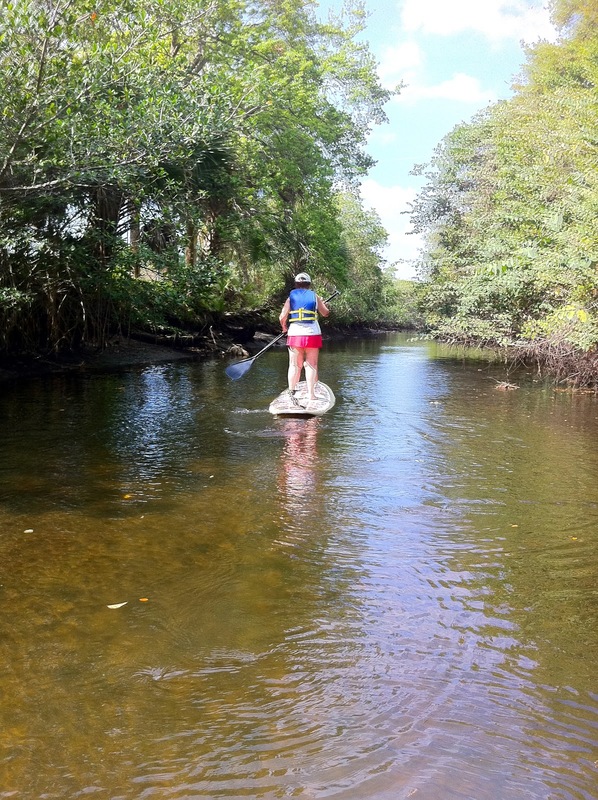 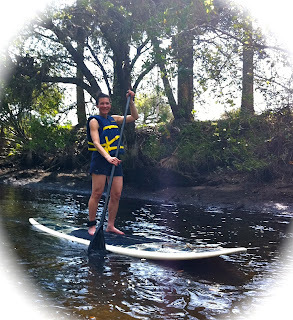 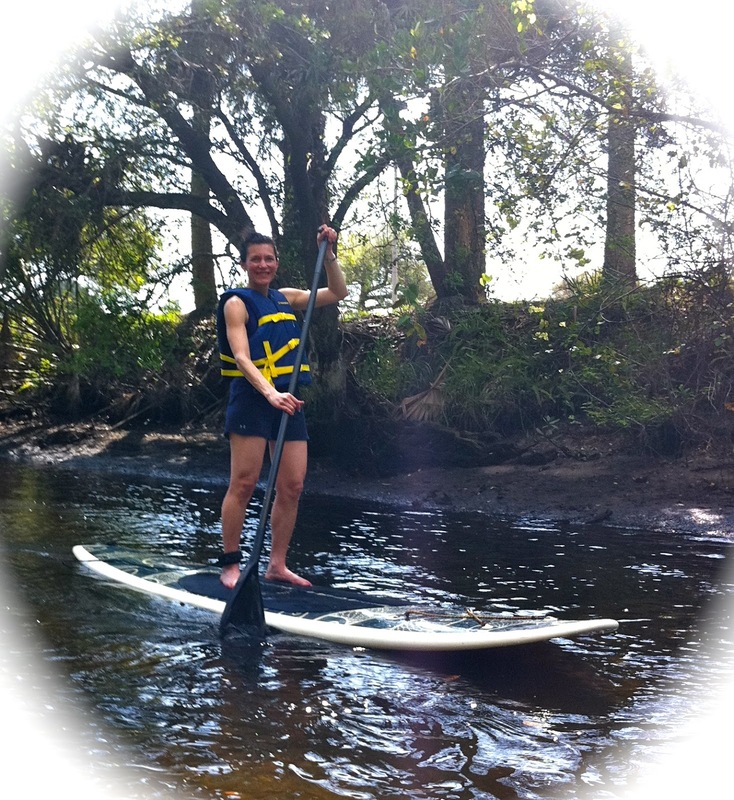 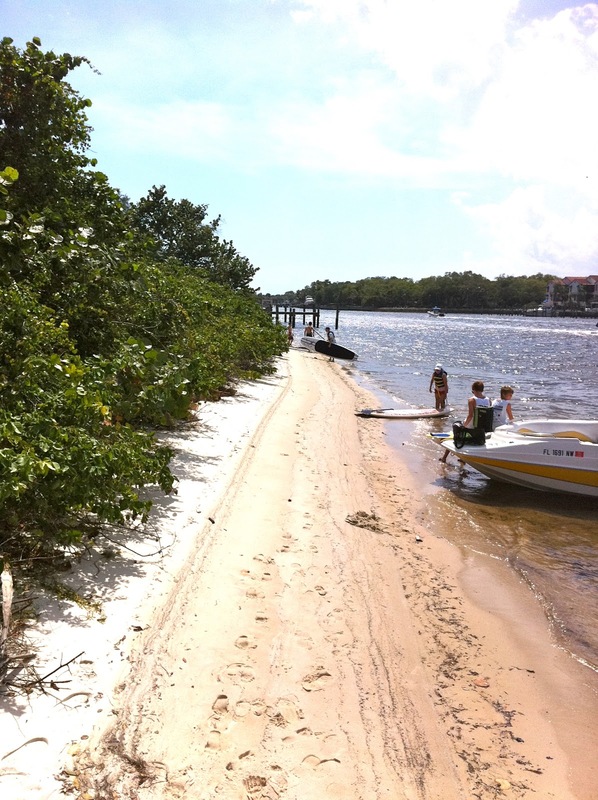 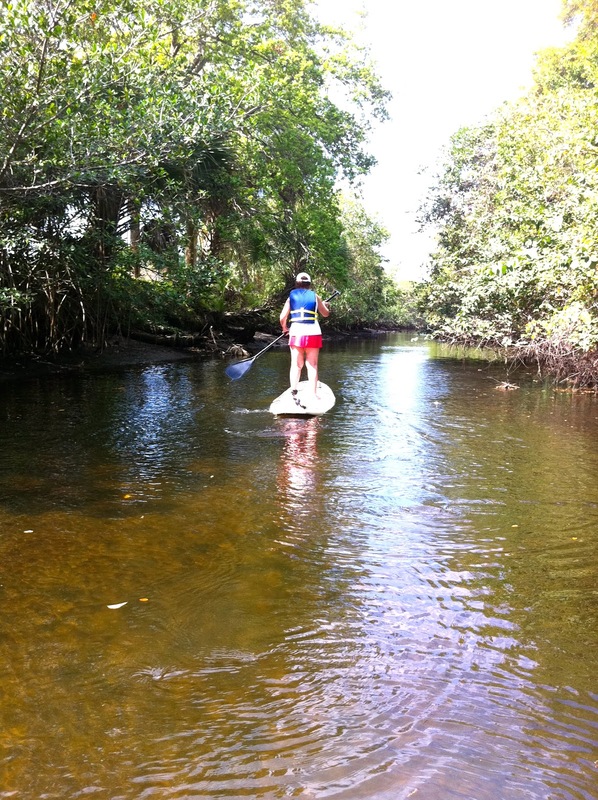 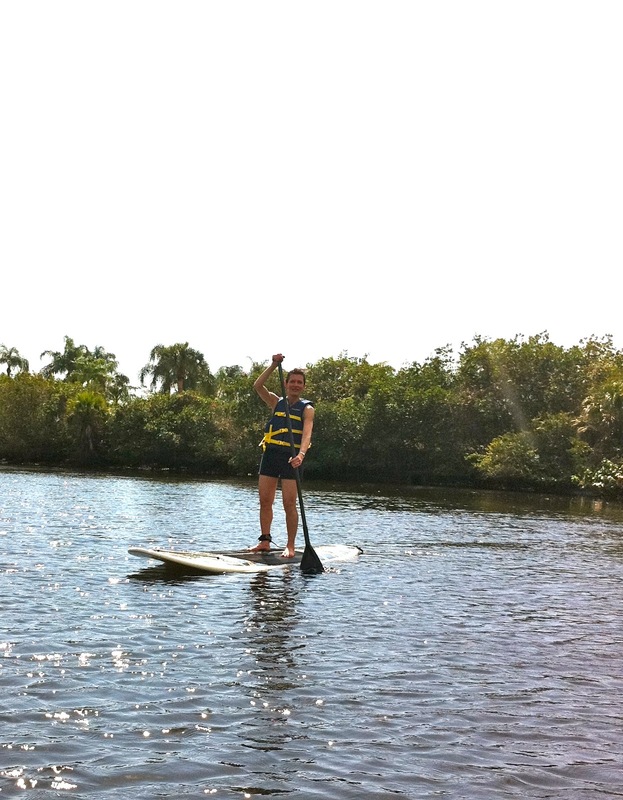 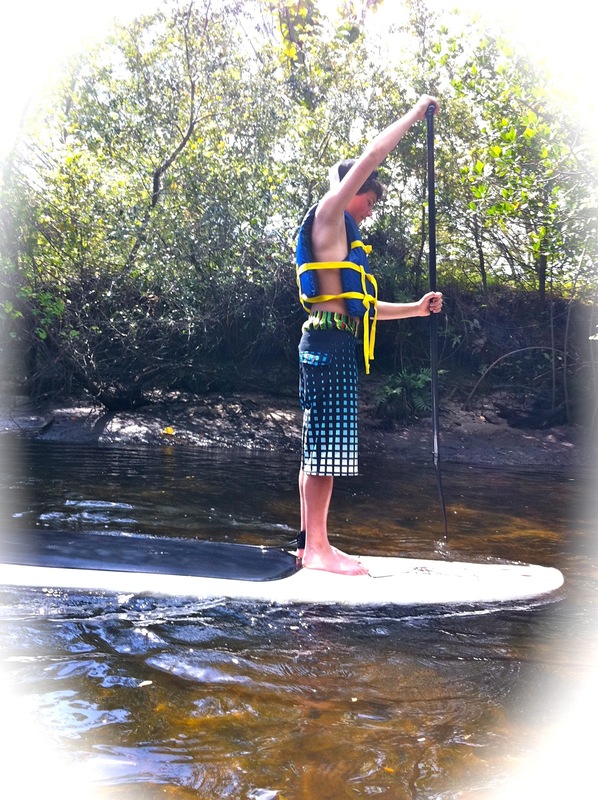 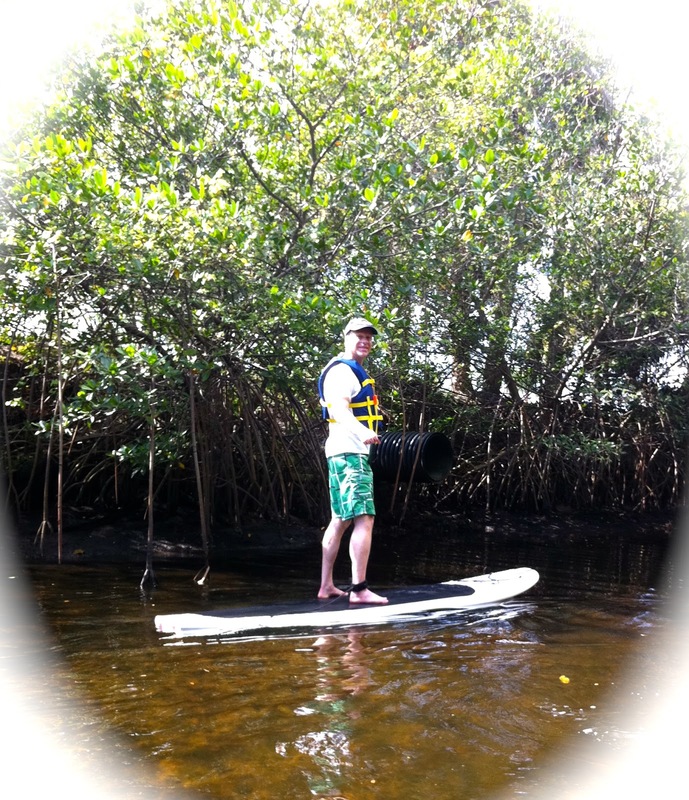 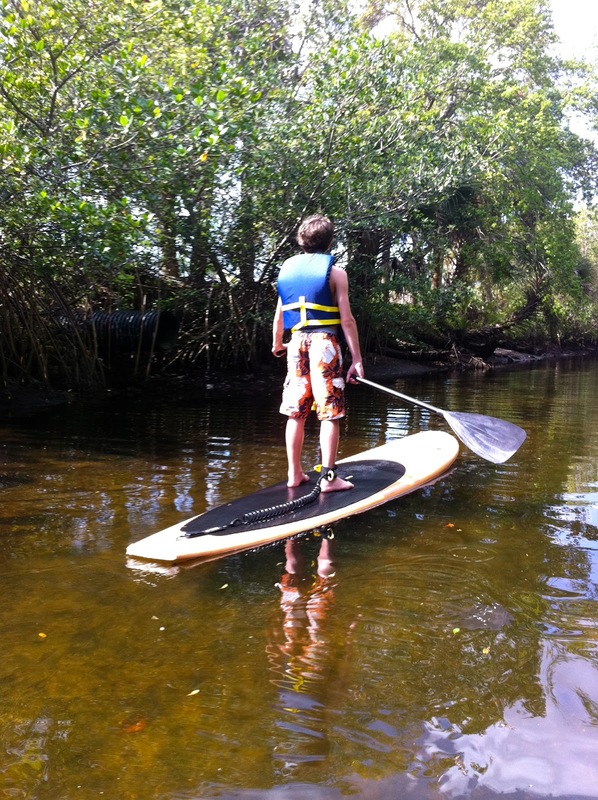 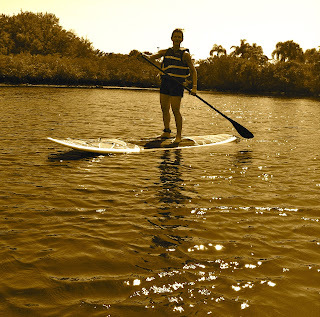 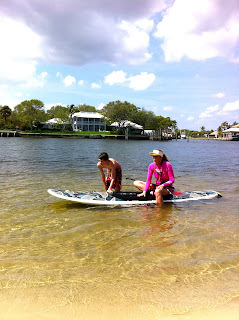 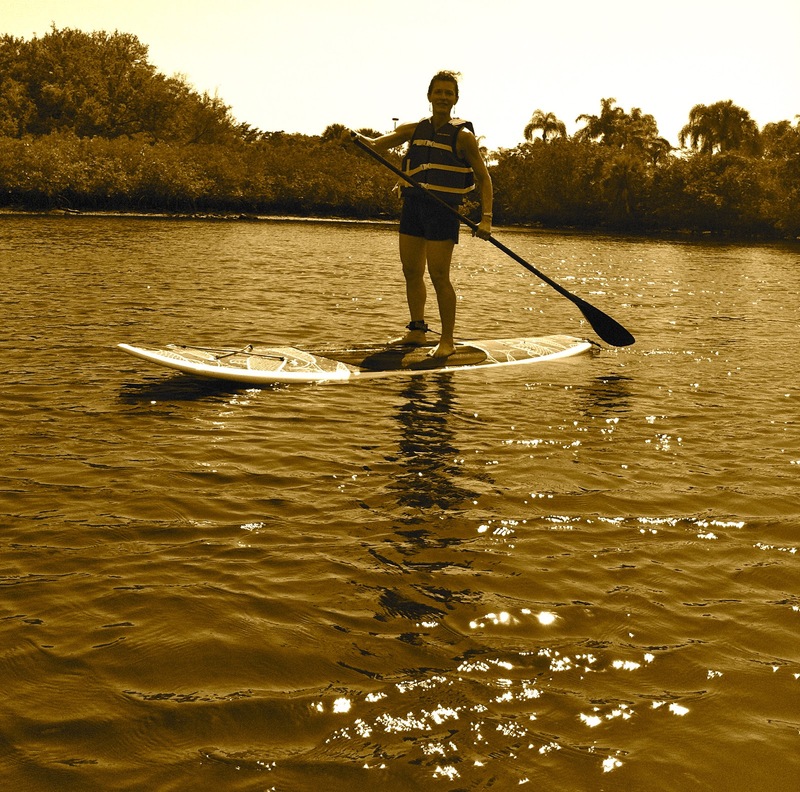 We enjoyed Stand up paddle boarding in Palm Beach Gardens along the Intracoastal. 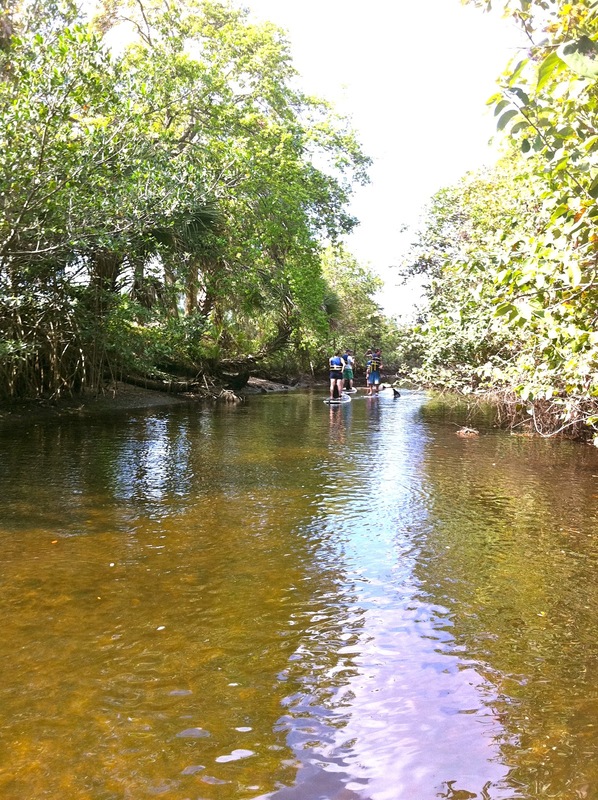 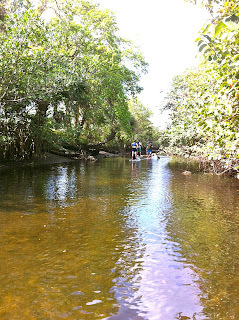 A large alligator gar, some ducks and a ray were spotted. 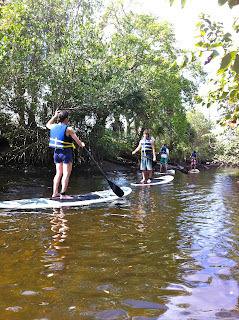 This family from Pennsylvania were all very athletic and had no trouble getting right up on their boards....even Cathy the 71 grandmother of this crew stood right up. 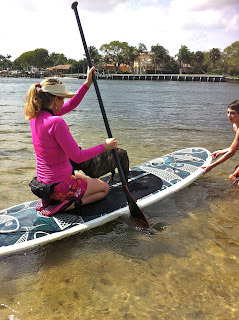 She was a active kayaker and did a great job keeping up with this young family! 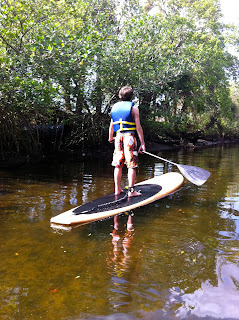 The Stand up Paddleboards we used were Synergy boards from "Florida Paddleboards" out of Juno Beach and the woodies we used were from "Three Brothers" out of Daytona. 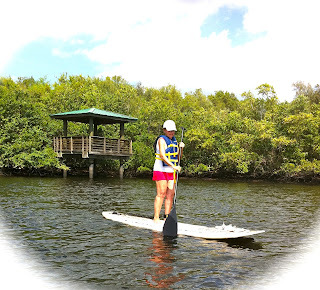 If you have never done any stand up paddle boarding Paddleboard Excursions does tours to Peanut Island, Coral Cove, Munyon Island, The Jupiter Lighthouse, Fishermans Island and more. 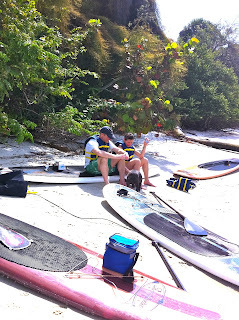 Come join us sometime! Will...the youngest kept everyone in line....this little fellow was just too cute! 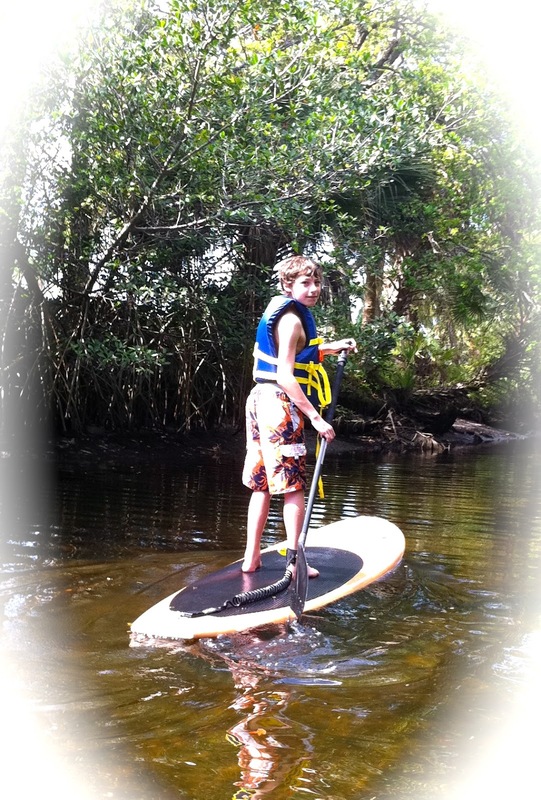 Tyler...the next stand up paddleboard pro! 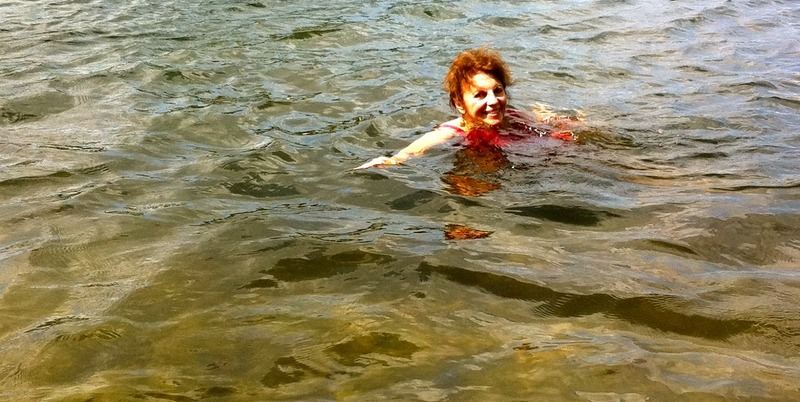 She is 71...What is your excuse! 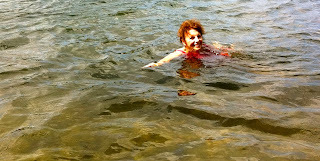 I could hardly believe Cathy is 71.... Well preserved I must say! 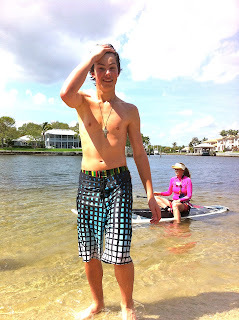 Chris...the proud mother of 2 fine sons .... enjoys doing life with them to the fullest! 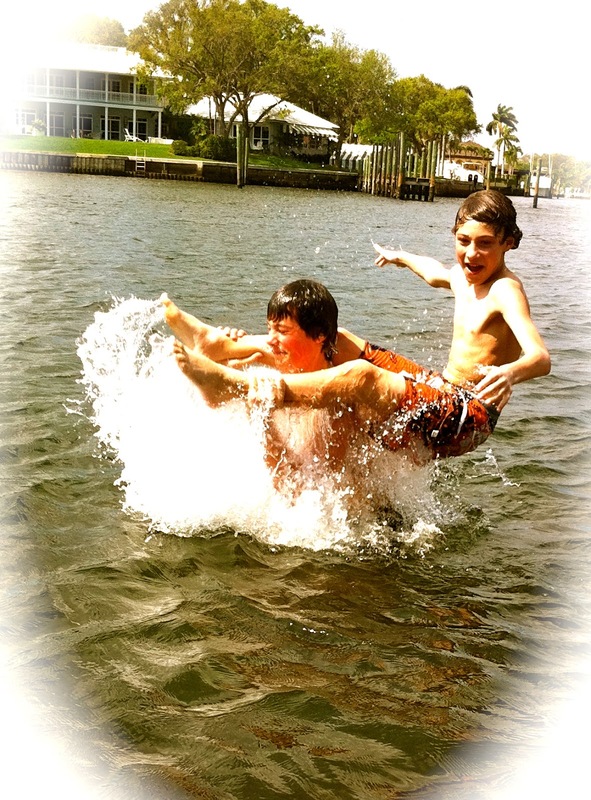 produced these 2 fun loving boys! 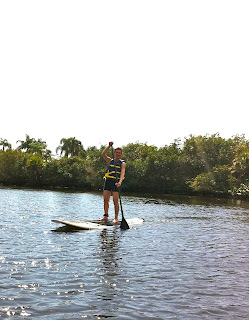 Time for a water break! 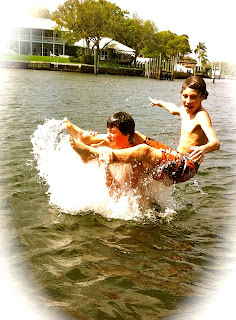 Wonderful family memories were made!